Professor Barnhardt: Well that’s where we are. You say we’re on the brink of destruction and you’re right. But it’s only on the brink that people find the will to change. Only at the precipice do we evolve. This is our moment. Don’t take it from us, we are close to an answer. 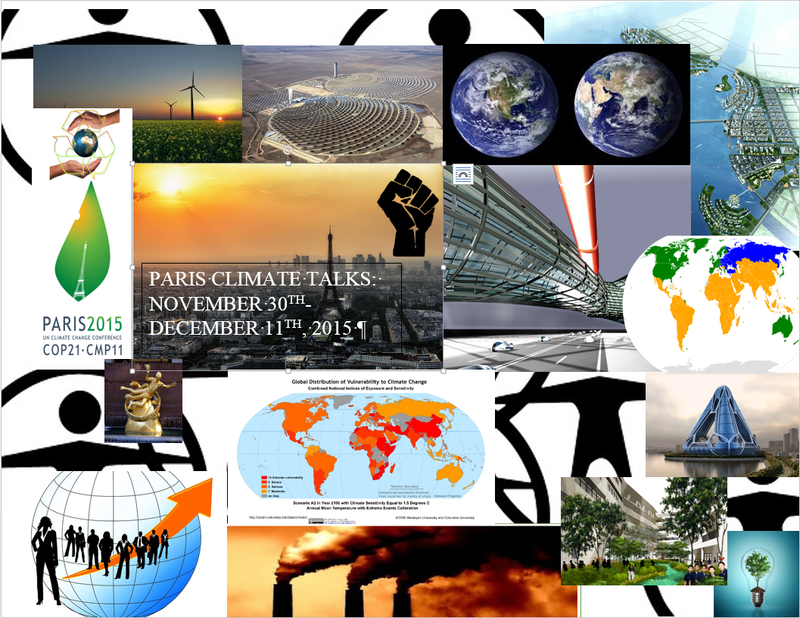 This is the last you’ll hear of me until 2016, the post is dropping earlier than normal to coincide with the Paris Climate Talks starting November 30th. The 11th hour species, the changes made when the blowtorch as at our cheek, the inevitable crisis that causes us to ponder extinction or apotheosis. We are now at the precipice, this is it, game changer it’s here, it’s unavoidable and yet it also very difficult to define the contours of. We are now grappling with the the most profund issue of our time. In a word we are at the precipice! Can we find the will to change? It’s not too late for humanity to avoid catastrophic climate change and it is why these negotiations which require an international cooperation and unilateral approach on par with the Manhattan Project or the mobilization we saw during World War II. We have to manage to agree on a set-point for average global temperatures of no higher than 2 degrees Celsius (35.6 degree Fahrenheit) to avoid runaway climate change and stabilize the planetary operating system enough that we don’t send our civilization into a decline it can never recover from (at least not without a Hail Mary and a suite of technologies yet to be invented as we are not a Kardashev 1 Civilization yet). These historic talks will put Paris back in the news cycle once again and this time for an event far more hopeful than the awful tragedies we were witness too, earlier in November. A promising first start to the talks is the historic meeting between three of the climate games major players, The U.S. (President Barack Obama), China (President Xi Jinping) and India (Prime Minister Narendra Modi), will hold a gathering between them with the intention of sending an unequivocal message to the world community regarding these nations commitment to tackling the problem of Climate Change, it is hoped that this gesture will encourage other nations to take an equally strong stance on the problem as well, and that the world can truly operate unilaterally to begin to make meaningful advances on this front. The words are undeniable and do raise an important piece of these debates, this is an issue that will involve us all, and dissent must be encouraged as governments often have blind-spots, and corporations have deeply antagonistic values to the welfare of humanity, and the functioning of the eco-system (odd given that without functioning ecosystem they have no way of generating their ephemeral “profits”). We do not wish to witness more government inaction, corporate f@*kery (excuse my French), and collective hand wringing, this is not an effective exit strategy. That said thankfully there are plans by activist groups to contravene the bans and demonstrate anyways, as well as an event planned for the day after called Red Lines Day. Uranus in Pisces resides in the 11th house of the chart for this day, we can expect help from unusual places and under peculiar and out of the ordinary contexts. In this case it is influences that help address a great cause, I imagine the most potent of these will emerge from the minds of the framers of this climate accord, and if not them then the public, activists and scientists who are holding a great stake in this accord truly working out for the world. (It is disingenuous to rank the level of that any stakeholder has as we are all stakeholders in this debate and not any one of us can default to ignorance on the issue). 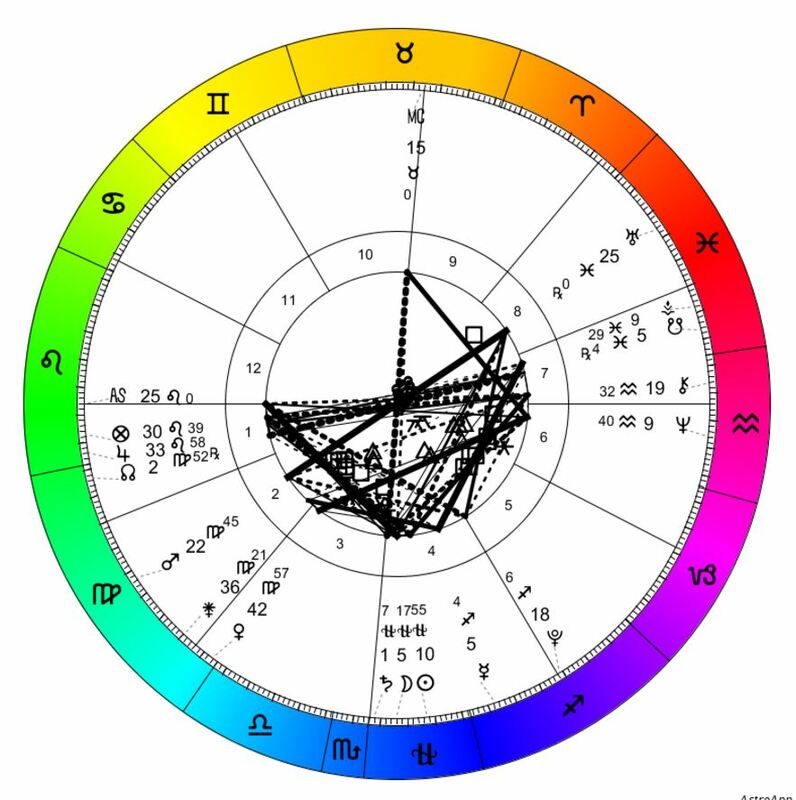 Note that Capricorn is culminating in the Mid-Heaven of this chart a promising cypher as it is an Earth sign concerned with the issues at hand, it is symbolic of the world itself and institutions in particular. Perhaps (though don’t count on it), corporations will be made to account for their collusion in deluding the message and seriousness of climate change to protect their interests, the symbols certainly pint to the possibility, but finding the political will is often lacking (remember many of these multi-national bodies have more power than governments, and we have not demanded that our governments muzzle the dogs so to speak). Pluto continues its sojourn through Sagittarius giving us a strong global focus, our civilization will increasingly move towards a planetary overlay as concerns continue to accelerate and require global solutions. Also note the preponderance of placements in Virgo. Virgo is symbolic of the biosphere and the life support systems (OS) of the planet. This is encouraging and what’s more those placements are present for the entire month! 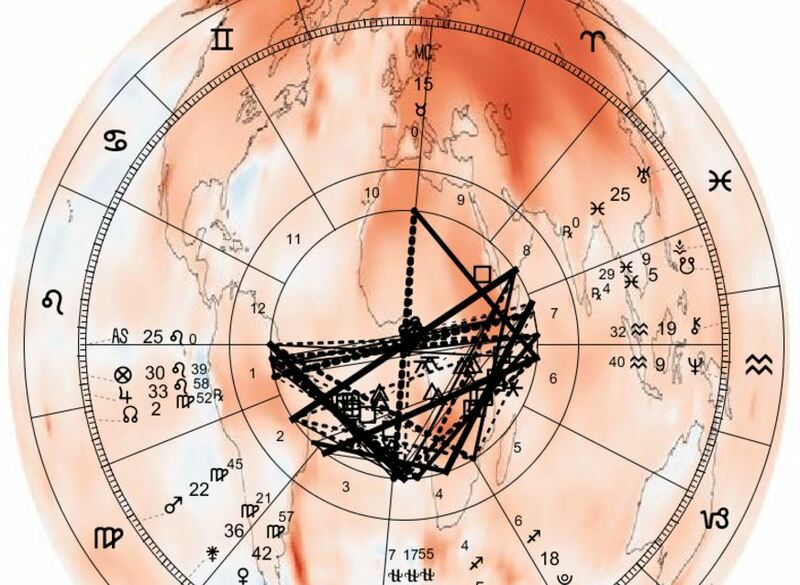 One other significant placement is the Neptune and Chiron both in Aquarius occupying the tenth house of public exposure, it could signify that limitations and areas in need to address could become very public information with the solutions emerging among the people on the ground and less the framers of the accord. This is an auspicious placement to begin the talks on. Mercury is in a sign that is devoted to communicating to the masses the importance of rebelling against the current hegemony and paired in easy aspect to Uranus which is in Pisces is devoted to addressing the suffering of humanity, we have a potent mix. Suggestive of the possible global call for marches on the ground since they have been banned in Paris. This is the ideal operating environment for a needed rebellion, puts some skin in the game and get out to your local solidarity marches. Mars in Virgo is the place of exaltation for Mars, and here it is action informed by facts, data, and an understanding of the needs of the common person, in easy aspect with the Sun in the sign of resistance to hegemony, we are in good cosmic company. It is here that policy makers get to down to brass tacks and start hammering out the details of a soluble climate accord. Further those solidarity marches begin to hone their adaptive responses around the compression and intimidation tactics of authority figures (Saturn in Scorpio: which can provoke a brutal confrontation between individuals and power). The screws may tighten but the people will be heard. Instinctively, I sense that under this prevailing condition we may see an elucidation of “Another World is Possible” more profound than we have seen since Occupy. The media will find it hard to ignore the global alliance of people taking to the streets in demonstration of their higher commitments to a climate fair world. Meanwhile indoors, world leaders may begin to coalesce around a rudimentary policy instrument that will begin to flesh out the finer details of a substantial climate regulating SOP. Mercury leaves Ophiuchus and enters Sagittarius. Pardon the dark humor but things could go thermonuclear here. The immediate instinct is that the sticking points begin to emerge in the climate talks here, this is where the concessions come in and gridlock can begin to surface. The only cogent solution in these tenser energy signatures is to take some bold and calculated risks, and that answers may suddenly emerge that at first strike as outlandish could on second sight be brash, bold, and brave, needed for a vastly changing world. We also may see demonstrators begin to take some risks and perhaps protest in spite of the governmental bans and possible consequences, in the messy process of democracy that which matters most is always hotly contested. Envision for a moment: it is the last day of the Climate Summit, and the world is unified in celebration, an accord has been reached, and it is one that there is unanimous agreement on. Demonstrators the world over who have marched for days are relieved by this announcement even though the rollout will be hotly contested from this moment forward. We have avoided careening over the cliff, the ride down will still be bumpy but manageable, humanity will continue to wear the mantle of a new and emerging eco-technic civilization, as we will have avoided undoing the experiment altogether by allowing gridlock to make the decision for us. It is this scenario that this aspect suggest but the sticky part is remembering that it requires work to implement no pie in the sky will work, we now are left with doing the real work of refining this principle into lived reality. Venus (egressing into Libras) is in a strong place here as she demands fairness and impartiality, it seems that myriad concerns will now weigh equally. Note that Taurus (An earth sign having to do with solid states) is culminating here and is a symbol that world has hopefully come together in a spirit of unilateral cooperation and agreed to allow no more than a 2 degree Celsius rise in average global temperature and a commitment to drastically lower carbon emissions with the ultimate objective of carbon neutrality (and sooner than 2080). Chiron in Aquarius at the seventh house indicates a workable solution to the climate crisis we are faced with and have begun to take steps to safeguard the life support systems that ensure our collective survival (Chiron deals with healing rifts and fracture points, in Aquarius this refers to the mass of humanity). Virgo also remains prominent as it sits at the base of the chart providing a framework solidly grounded in the operating systems of the planet to guide future action, telling that it is I the house of finance which could signal an economic signal now in place that determines that provisions will be made for climate change initiatives (perhaps we will make good on the promise to provide $100bn to developing nations by 2020 to mitigate climate change impacts? Or perhaps we will see the first inkling of a global carbon tax and Universal Basic Income? Stay Tuned! ). Activists, specifically 350.org have pledged to one final demonstration on the official final day of the summit, a call to action, dubbed “Red Lines Day”. It is a gesture of solidarity that will allow the people of the world to have the final say by outing tens of thousands of bodies into the streets of Paris to send the message that standard operating procedure will not be acceptable if governments fail to reach an accord. Venus enters Libra, a meaningful coincidence that a statement of solidarity and environmental justice falls under the signature of fairness (Libra). A signature that speaks to elegant minds contemplating abstract concepts and subjects. Policymakers will most likely be busy working through the implications of a new agreement on climate or if one hasn’t been reached handling the fallout. It also speaks of excesses, and the potential of “good” intentions to have unintended consequences, optimism cannot overshadow realism at this time. The holiday season begins to go into high gear and we are reminded culturally of the sentiment that underlies much of the festivities. After an intense two week summit we are given a rarified moment to either celebrate the possibility of working unilaterally as a world community to hammer out the finer points of the climate agreement or (assuming no accord) are regrouping to figure out a new unified front for a people centered climate change strategy, that begins to pull the levers of power to manifest another world. In essence we decide to collectively play a new game and bypass authority altogether (although this is a stretch, and may emerge much later than now). The double-edged sword of the climate debates is this, if an agreement is reached not all parties will be satisfied and there will still be violent opposition to some of the finer points (and this is actually a good thing, as these things should be contested). On the other hand if an agreement is not reached the level of public and activist outrage could be extreme, and we it will certainly be lighting up media outlets. 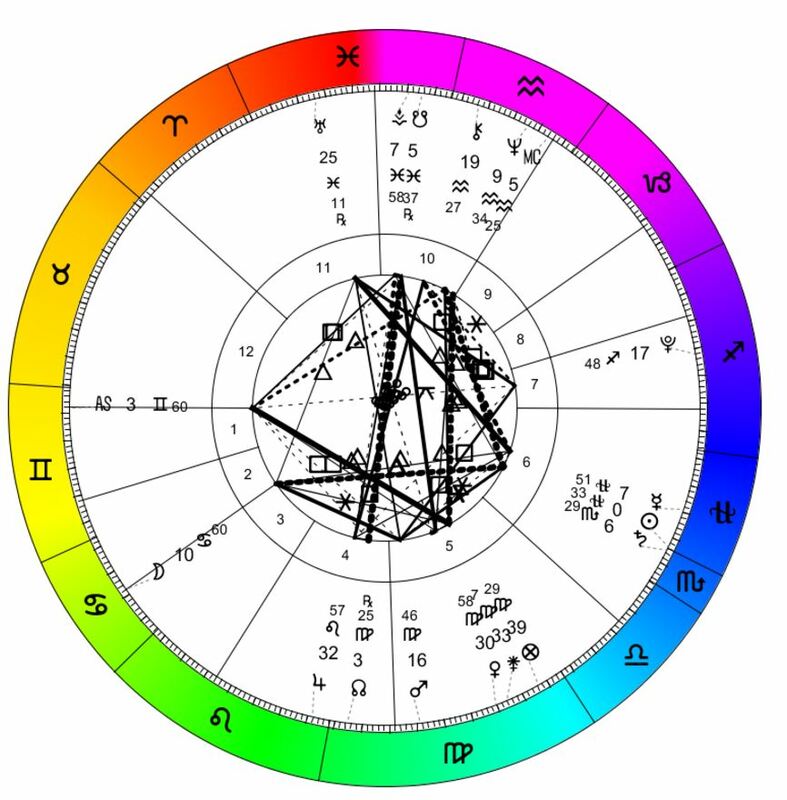 12/22/2015: December Solstice in Sagittarius. The high day of Yule in the Northern Hemisphere and Litha in the Southern Hemisphere. This one if for fun, the radio (Internet) will have played the Beatles “So this is Christmas” ad nauseum to the point that many of us in the North will be coming up with snide re-workings of the song lyrics (Let’s hope it’s a good one with plenty of beer!! ), that said the sentiment in the song which makes the plea for global peace/creative tension (or just an end to violent conflict), is in reflection of the symbols at play on this day and a wonderful entrée into the Gregorian New Year. What if the climate talks break down like they did back in 2009 and the world cannot come to an agreement on these issues? Then it will be up to the world’s people to demand the course correction that outs us on track to a saner world. If the governments, elites, corporations, and policymakers won’t do it then the people have to, and demand that those is authority act to stem the worst of this transition. If it means social unrest and a movement that will dwarf the Occupy movement in scope and volume then so be it! This is exactly the response needed, our culture has had created the notion the notion that the common person on the ground cannot change the course of events. The reality is that we must dis-abuse ourselves of this illusory conclusion and recognize that it is the mass of us in our numeric majority that has the only legitimate power to shape the course of events and that the system as it currently is only functions by our consent whether willful or passive. Here is the hard-edged, inconvenient, unavoidable truth about the matter: The concept that our way of live is non-negotiable is in serious contradiction with reality. You cannot argue with the basic operating system of the planet, physics, chemistry, and biology does not care about your thermostat being set permanently to a toasty 21.10C (700F), or your quarterly report, it is this that humanity needs to begin to understand and cogently, these forces are indifferent and will always trend toward equilibrium even if that means a new energy state. You don’t even have to be in the room to negotiate because there is no negotiation, our way of live is going to change and radically whether we do it by choice or chance compels us to. We are going to become the virtuosos of the intangible economy and the artists of non-waste, or we are going to disappear from the book of life, another failed experiment in evolution. What is needed here is a complete re-negotiation of every aspect pf our culture, a reverse engineering that will call upon every single facet of our civilization to conspire in the creation of this new arrangement. It will be an endeavor with a religious conviction. The change in culture could come in as little as one generation (20-30years), if not sooner, as we needed it yesterday (we spent 30 years dithering since 1970 on even though the evidence of what we were doing was clear much sooner than that.). 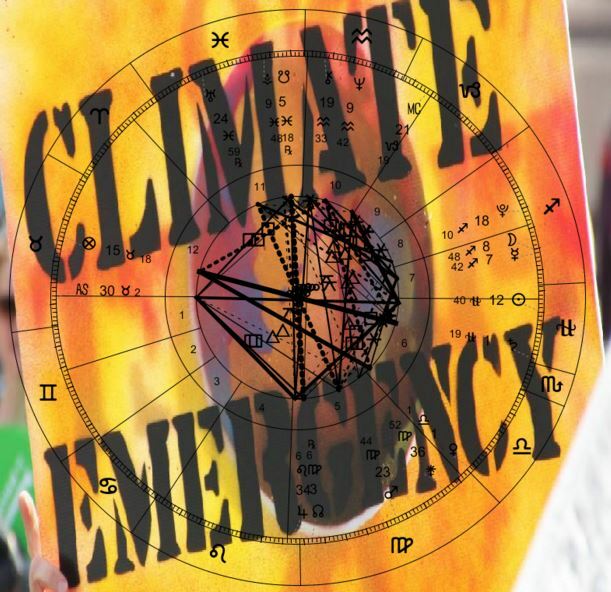 There is no time to lose, and there will still be some hard choices and some crises we will have to wade through as some climate change is inevitable, we are a highly adaptive species and it can begin with the bedrock, the Economy. Capitalism was a stage in the overall evolution of our species, a period that was once useful and now is no longer (as it only knows how to create value through extraction and not recycling), it is being slowly abandoned or transformed into something else, the rumblings are now imperceptible but change is coming. This economy allowed us to reach this point of elucidation and now it is giving way to the nest phase at the dawn of the second machine age, and Climate Change is providing the selective pressure for this new emergence. We are witnessing the swan song of this way of life and the birth screams of something new we are midwifing into existence. It is currently in an embryological state, which is why we struggle mightily for a new economic framework and defining its contours, and physiology, but define it we must, the economy we have will not survive the strange light of the future, and that will become soon apparent. Perhaps the time has come for us to become the artisans of un-waste and the masters of the intangible economy? (Granted asking the question of what we would buy in a money-less economy is missing the point entirely, as consumption is no longer the motivation or rubric by which value will be measured in such a scenario). There will still be the questions to answer as we make this transition away from a monetary system and towards a more real-world economy based on resources and other forms of non-monetary capital. Questions like how will eat? Where will we live? How will we pay for the basics of existence? I imagine at the point when these questions are emerging we will have already de-commodified the essentials and worked through how these things can be made available on a mass scale at no cost (a topic for another day). It seems the groundwork for this new economic vision is already in the works including a new type of plastic that can be molded into anything made out of hemp, freeing one industry that depends of petroleum for its basic feedstocks. There are many other emerging technologies, and social experiments too numerous to explore here in any depth. A cursory list provides a few great resources: The Venus Project, The Long Now Fooundation, Future Timeline, 350.org, and many more organizations that are seeking to build a more sustainable world and flesh out the specifics of what this looks like. Remember it helps to read a blog or two, but does way more if you put some skin in the game, I encourage all my readers to go to demonstrations in your area and raise your voice, be heard! See you next year Psychonauts!! Derrickson, S., Stoff, E., Boardman, P.H., Goodman, G. (December 12th, 2008) The Day The Earth Stood Still, Dune Entertainment, 20th Century Fox, United States and Canada.